Her solo and chamber music recitals have been broadcast on Capital Public Radio, and she performs regularly with the Sacramento Philharmonic Orchestra, the Sacramento Opera, and the Sacramento Choral Society and Orchestra. 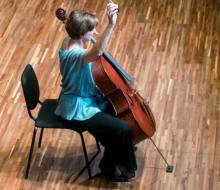 She serves as principal cellist for the Classical Music Festival in Eisenstadt, Austria, and is on faculty for the Vianden International Music Festival and School in Luxembourg. Her recordings include Works for Cello and Piano by Rachmaninoff, The Gold Coast Trio — Works by Beethoven, Beach, Bernstein and Piazolla, and La Commedia — Chamber Music by American composer Daniel Kingman for Innova Recordings. As a member of the Gold Coast Trio, she has served as artist-in- residence at Xiamen University in China and the Classical Music Festival in Eisenstadt, Austria, and has performed and given master classes at San Francisco State University, Scripps College, and Harvey Mudd College. The trio’s 2006 performance at the Liszt Concert Hall in Raiding, Austria, was featured on Austrian National Television, and their performance of the Beethoven Triple Concerto with the Lake Tahoe Music Festival received critical acclaim. The Gold Coast Trio returned to Xiamen, China, in June 2010 for another residency at Xiamen University and to perform the Beethoven Triple Concerto with the Xiamen Philharmonic Orchestra. 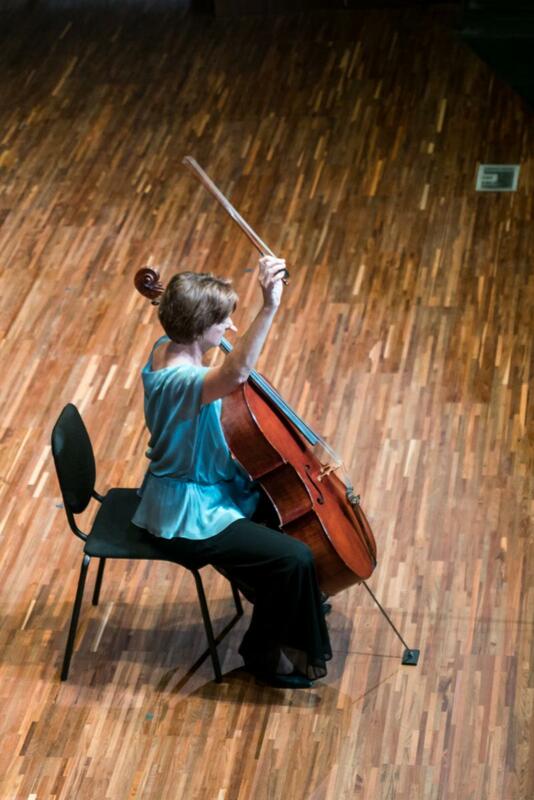 As pedagogue, Susan Lamb Cook is highly regarded as both cellist and chamber musician, and her students perform regularly for competitions and public concerts. She is an active member of the California Association of Professional Music Teachers and the American String Teachers Association, and is coauthor of Guide to Teaching Strings by Norman Lamb. In recent years, her focus on music education has taken her to public schools around the region offering performances presentations, and individual classroom visits. Due to a grant from the Rumsey Community Fund and the Swift Fund for the Arts to the Sacramento Youth Symphony, Susan Lamb Cook appeared as artist-in-residence for the Esparto School District. Her work developing the Sacramento Youth Symphony’s Chamber Music Workshop, which celebrated its twentieth anniversary in 2009, has received recognition from the New York-based organization Chamber Music America and the Amateur Chamber Music Players, Inc. The arts at UC Davis are in full bloom this quarter with a special emphasis on work by students, many of whom are finishing final projects for graduation.